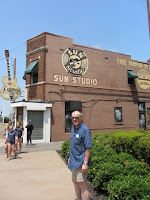 Now, I'm not going to tell you that I know Robin Trower's oeuvre inside out. But he's been in the margins of my musical experience since I was in my early teens, back in the mid-Seventies, and saw some live footage of him on the Old Grey Whistle Test. Which tells you something about how old I am – and that clearly Trower is no spring chicken nowadays. I’ve also got a copy of Bridge Of Sighs, I’m pleased to say. And at some point I also picked up a copy of his last album, Where Are You Going To, some of which I must admit I found rather soporific. So what I have I gleaned from my limited exposure to Trower over the decades? Well, that OGWT appearance suggested a penchant for weird face-pulling while soloing which me and my juvenile mates found pretty comical. Also, Trower's critics tend to view him as a Hendrix copyist, while his supporters regard him as a master of tone. And last but not least, Trower's heyday benefited from the distinctive and soulful vocals of Jimmy Dewar. That last point is important. Because great vocals add a whole other dimension to great guitar work. And knowing that Robin Trower had taken on vocal responsibilities himself on Time And Emotion, I approached it with some trepidation. Could he really deliver? Well, no and yes. Okay, so he's no Jimmy Dewar. But if my expectations were low, then Trower has managed to exceed them. He may lack range and power, and his diction may be be a bit curious at times, but apart from all that – actually, he groans away satisfactorily throughout, in a sub-Knopflerish kinda way. So having got all that out of the way, is Time And Emotion any good? Well yeah, as it happens. Right from the off, with the mid-paced shuffle of 'The Land Of Plenty', Trower sets a benchmark for well constructed songs and the mastery of guitar tones for which he's celebrated, often layering guitar sounds to create interesting textures, as on the slower, more reflective 'What Was I Really Worth To You'. 'Bitten By The Snake' is one of the most immediate tracks on show, with spiky guitar lines set off against an addictively toe-tapping rhythm from drummer Chris Taggart, and a good solo to boot. 'You're The One', meanwhile, is essentially a fairly slight song, but all the component parts fit together beautifully. It has a winning melody over a lazy beat, and the guitar, bass and drum sounds are all perfectly placed in the mix, while Trower serves up an effects heavy, quavering guitar tone for his solo. If you like a dash of funk then the loose-limbed 'Try Love' should fit the bill, with its engaging bass groove (Trower also plays bass, along with Livingstone Browne), while in a similar vein 'If You Believe In Me' is upbeat, with a strutting rhythm and bass. It also features a sparkling little guitar refrain and a nicely fuzzy guitar solo, before veering off into a complementary slower section to close. Trower can keep it simple too however, as he demonstrates on 'Make Up Your Mind', an old-fashioned blues slowie on which he deploys a more straight ahead guitar sound that makes for a pleasant change. I sense that Trower has also put some effort into the lyrics throughout, although as his vocal delivery lacks the zest evident on, say the Starlite Campbell Band's album Blueberry Pie, they don't have the impact that they could. Robin Trower may be an old fox, but young gunslingers like Dan Patlansky could still learn a thing or two from what he's produced on Time And Emotion, as he lives up to his tone master reputation on a set of solid songs. Time And Emotion is released by Manhattan Records on 4 August. 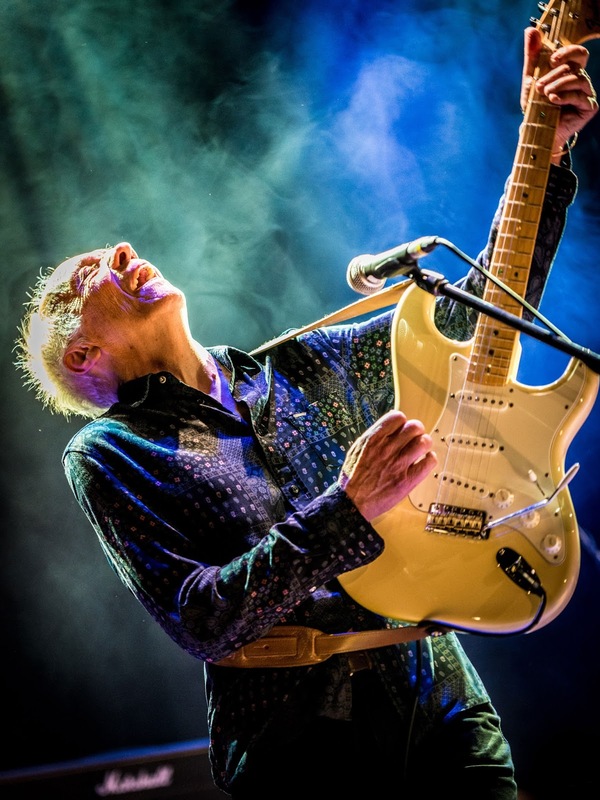 Robin Trower plays London's Islington Assembly Hall on 29 November.